6 Bedrooms, 3 Bathrooms, (Sleeps 12) in 2 separate houses with swimming pool. 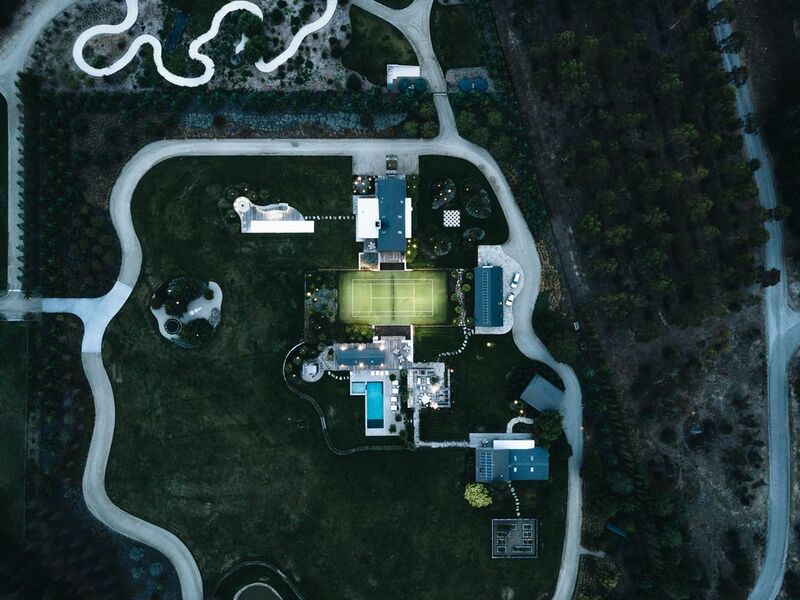 Only a 5 minute drive from the Wanaka Township, this beautiful 17-acre riverside estate offers two luxury villas, available exclusively, to provide the ultimate setting to host extraordinary events and weddings. As a venue, it is the perfect blank canvas for designing your dream wedding or next corporate event. The entire property, which can sleep up to 12 guests, consists of the Tennis Court Pavillon and the Main Villa accommodation. Manicured lawns and gardens, huge outdoor entertaining areas, tennis court, swimming pool, steam room, hot tub and petanque court are just some of the features. The two luxury villas and an architecturally designed cabana are immaculate and finished to the highest level. The interiors are spacious and furnished with elegance in a modern style with unique pieces of original art and furniture by leading designers. A Security Bond of NZD1000 will be charged per booking. This will be returned within 3 days of check out as long as no loss/damage has occurred at the property. Release Wanaka has hand-picked a collection of Wanaka's very best luxury holiday rental accommodation options, each offering a unique and different Wanaka experience. Horseshoe Bend Estate offers space, privacy and peace in a resort style property with 3 separate buildings, tennis court, outdoor pool, spa pool, pool house with steam room, large established gardens with pond and water features. Set on several acres, surrounded by farmland. Open fireplace in main villa and tennis court pavilion and also outdoor area and sunroom. Large amount of parking available. Living areas in both the main villa and tennis court pavilion. Dining area in both main villa and tennis court pavilion, sitting 6 in each. A selection of toys are available. The property is surrounded by large lawns and gardens. Master bedroom features a balcony. Kayaks are available to hire at Lake Wanaka. Bicycles can be hired through our Wanaka Fixer service. Large outdoor patio perfect for entertaining. Skiing is available at Treble Cone Ski Area and Cardrona Alpine Resort. Golf is available in Wanaka.